Homeowners who are decorating their kitchens for the first time or remodeling the kitchen should consider installing wall mounted kitchen faucets. 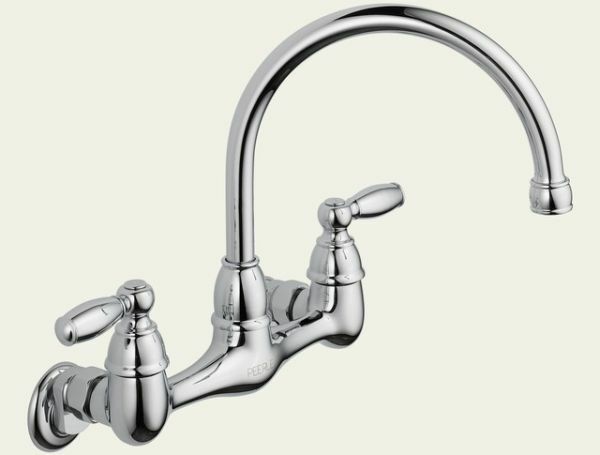 These types of kitchen faucets look very classy and elegant. They can enhance the décor of any kitchen. You can use them in a small, open kitchen or a state-of-the-art large kitchen plus dining room. Wall mounted kitchen faucets are convenient and help you work more efficiently in a limited space. 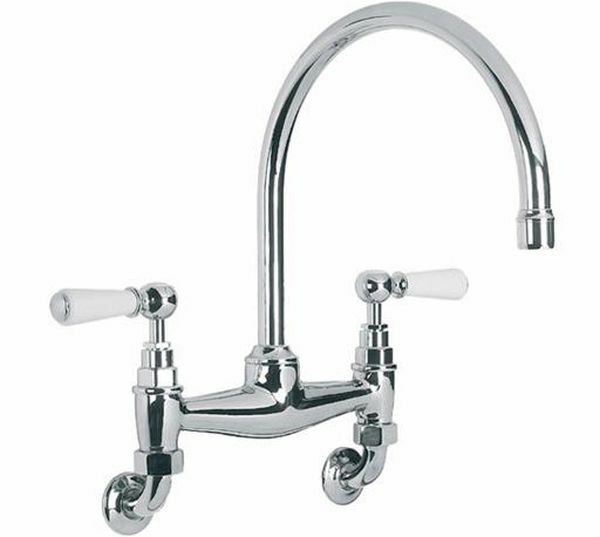 There are many different types of wall mounted kitchen faucets available in the market. Some of them have only one handle and the others have two handles. Depending on the nature and amount of cooking chores that you have to perform in the kitchen, you can choose a suitable wall mounted kitchen faucet. There are many advantages of using the wall mounted kitchen faucets. One of the many benefits that these types of faucets offer to you is versatility. It is possible to customize the wall mounted kitchen faucets in your kitchen. Customizing the faucets will depend on your desire and requirements. Some homeowners add nice soap dish with the wall mounted kitchen faucets and some get pull out sprayer or pull down sprayer for help in their work. 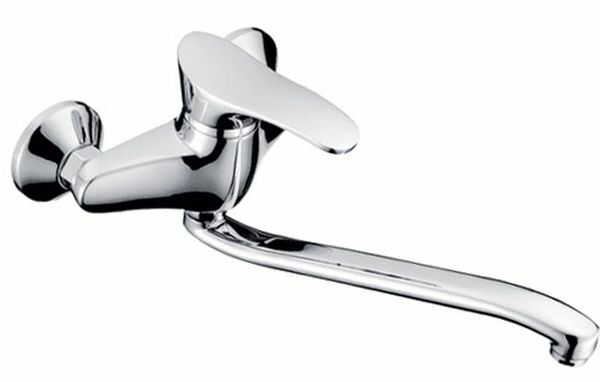 You can also get wall-mounted faucets with swing mounts for increasing it work efficiency. Try to get wall-mounted faucets in a style that matches the rest of the décor perfectly. The low mounted wall faucets look just like other regular faucets or the faucets attached with the sinks. The high mounted wall faucets add a classy glamour to your room décor. 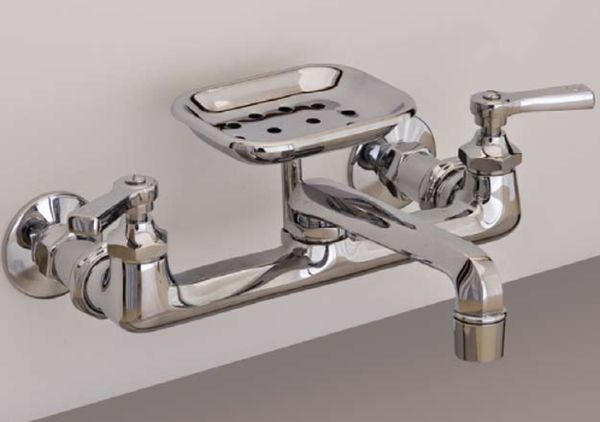 A major advantage of the wall-mounted faucets is that it can be used in cramped spaces. Not all of us are equally lucky to have a spacious kitchen. Some have to do with a small, apartment kitchen. If you too are worried about space crisis, then wall mounted faucets are the right choice for you. They fit every small and narrow space. The fact that you can install wall mounted faucets with sprayers and swinging mounts makes them more convenient. Ease of use and simplicity of design make them highly functional. All you need to do is consult your plumber and make sure that the plumbing is done properly. 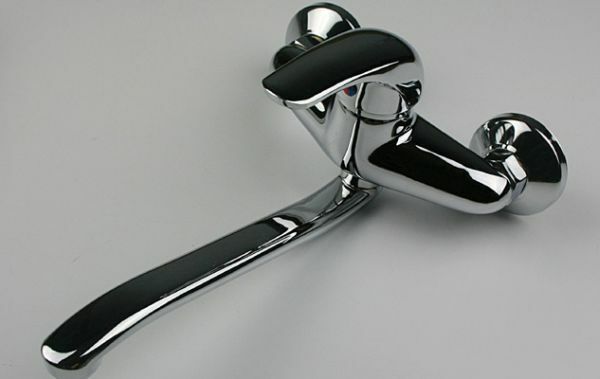 The wall-mounted faucets are made using different materials like nickel, brass and chrome. Wall mounted faucets offer multiple benefits to the users. They look stylish, save space and convenient to use.